Spanish designer Armand Basi has launched Blue Sport, a new woody fougère fragrance for men. Blue Sport is a flanker to 2005's In Blue. Blue Sport was developed by perfumer Fabrice Pellegrin. The notes include citrus, pink pepper, ozone, floral notes, sandalwood and oakmoss. 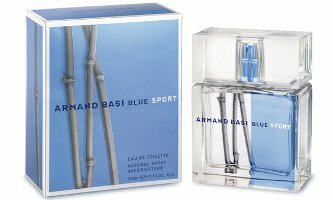 Armand Basi Blue Sport is available in 50 ml Eau de Toilette.